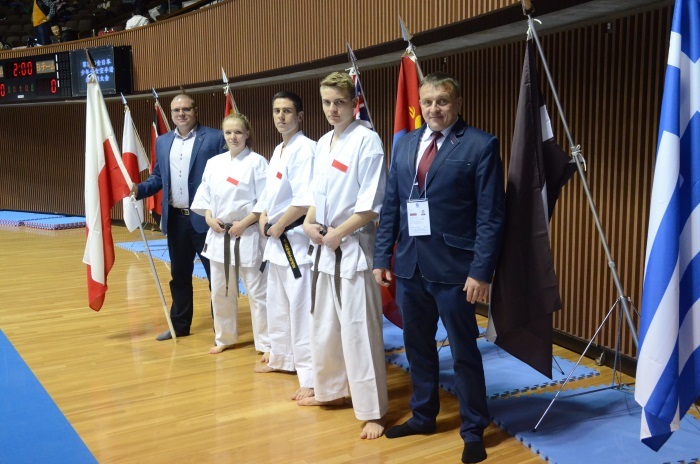 On April 2nd 2016, Gymnasium Sports hall of National Yoyogi Stadium in Tokio hosted 5th World Karate Tournament Point & K.O. (Knock-Out) organized by a Non-Profit - KARATE-DO POINT & K.O. Rules Association, working under the patronage of the Ministry of Education, Culture, Sports, Science and Technology (MEXT) of Japan. 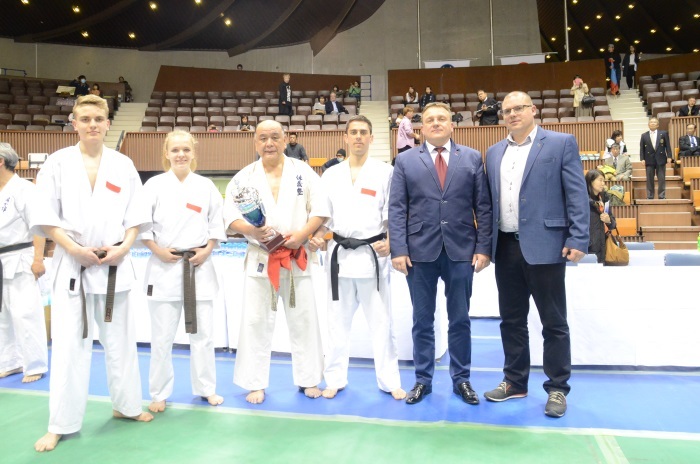 Grand Master Katsuaki Sato, Champion of the First World Open Karate Kyokushinkai Tournament from Tokyo 1975, invited three representatives of OYAMA Polish Karate Federation from Malopolski Karate Club from Andrychow to participate in a tournament. Team from Andrychow consisted of: Damian Krupka (senior open category), Katarzyna Kasperek (senior woman open category) and Kacper Kasperek (junior category). 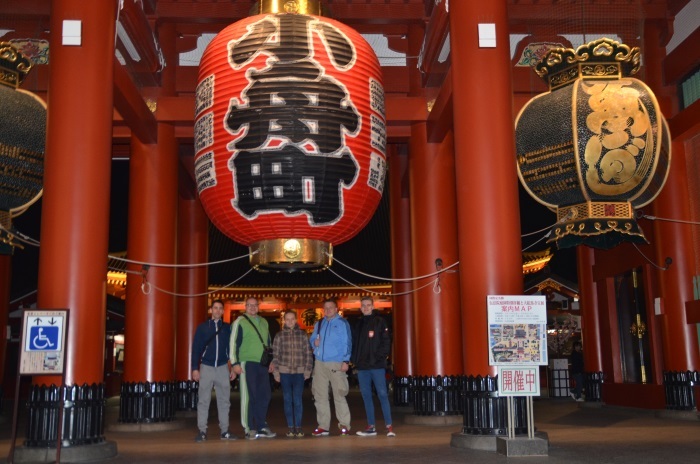 Team coach was Sensei Jacek Kasperek (4thdan) and team manager Sensei Sebastian Waclawski (2nd dan). 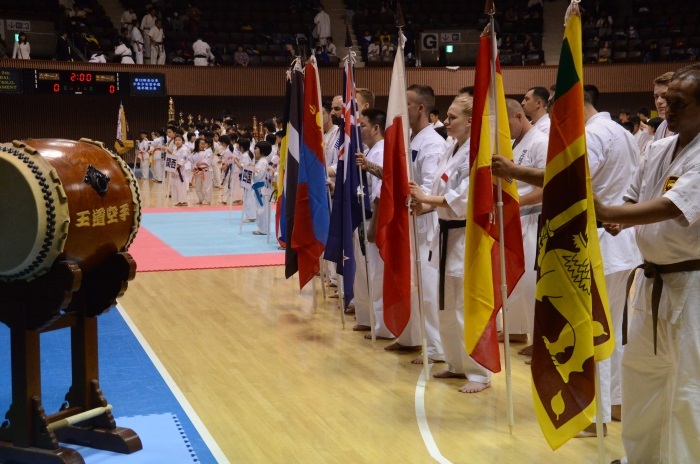 There were many fighters from different styles and organizations competing in the Championships, representing countries from Europe, Asia and New Zeland. This time the representatives from Brasil, USA and Russia were absent. There were strong teams from Spain, Greece, Latvia and Denmark. Tournament was conducted according to different rules that we have in knockdown or semi-knockdown. 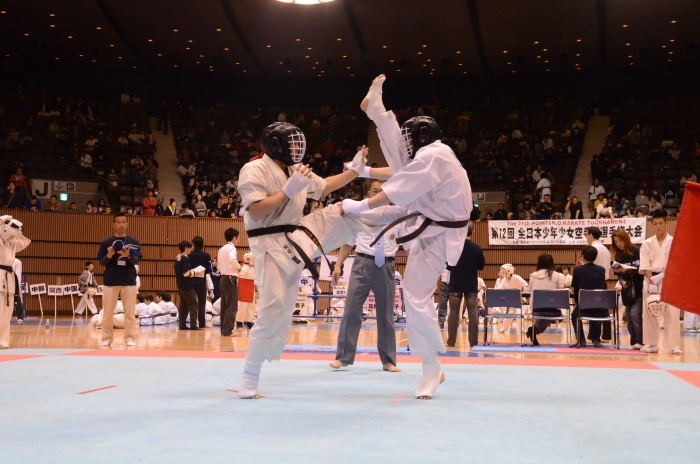 It was forbidden to use low kick and Japanese referees awarded points for unblocked kicks to the chest supported by "kiai". Our fighters fought well but lost in eliminations against the hosts by judges decision. First two places went to Japanese fighters. 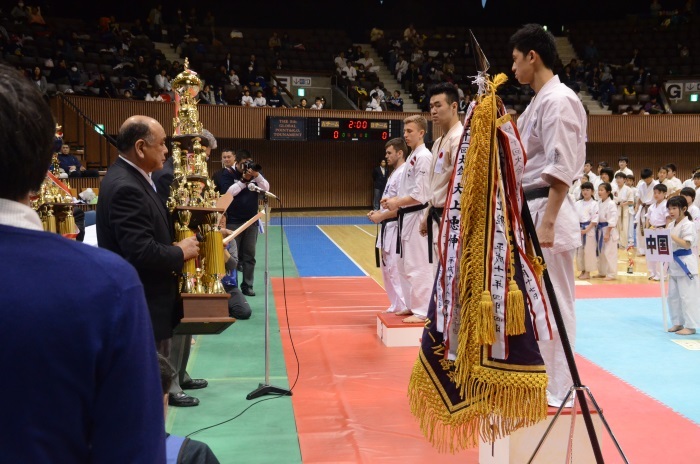 After the tournament, hosts organized a training on occasion of Grand Master Katsuaki Sato's 70th Birthday Anniversary that included all the fighters and instructors. After the tournament Sensei Jacek Kasperek on behalf of Hanshi Jan Dyduch 8th dan presented Grand Master Sato with best wishes and an occasional cup. In spare time Polish Team visited both modern and historical parts of this great city accompanied by the blooming cherry trees. OUR SINCERE THANKS AND CONGRATULATIONS ON YOUR GOOD FIGHTS, OSU!